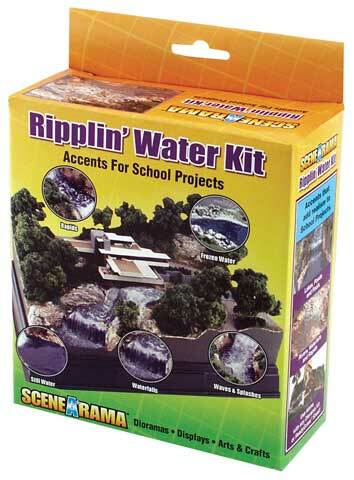 This kit can be used to enhance a diorama or display with still or moving water. It includes everything needed to create water details including rapids, waterfalls and frozen water. It contains realistic water, water effects, water undercoat, a foam brush, a stick, release paper, and easy instructions.